Big B, SRK, Priyanka and other celebs have lent support to '#Saluteselfie', a neutral social media campaign. Cinestars like Amitabh Bachchan, Shah Rukh Khan and Priyanka Chopra have lent support to ‘#Saluteselfie’, a neutral social media campaign by the Reliance Group on the occasion of India’s 69th Independence Day. 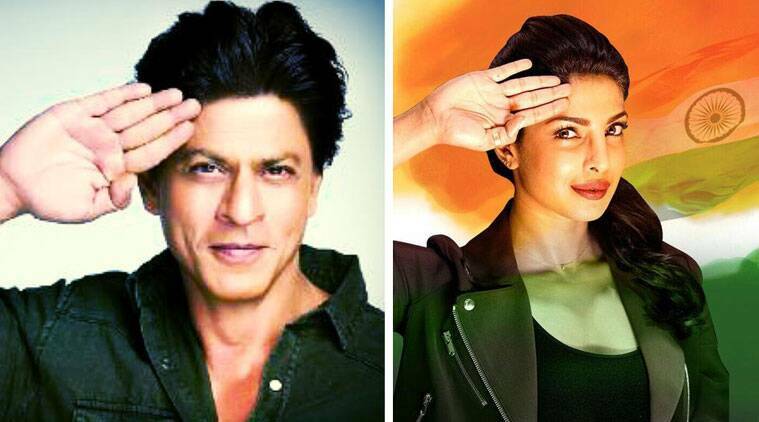 Cinestars like Amitabh Bachchan, Shah Rukh Khan and Priyanka Chopra have lent support to ‘#Saluteselfie’, a neutral social media campaign on the occasion of India’s 69th Independence Day. According to company officials, the “#Saluteselfie”, which was started on August 7, got more than 17,000 followers in less than a week with the first post made by Amitabh Bachchan. The officials also added that it has evoked 250 million impressions and has claimed a reach of 65 million. A video of the campaign is also being played at DLF Promenade in the south Delhi area of Vasant Kunj, and Cyberhub in Gurgaon. The “#Saluteselfie” campaign has been joined by many others like actors Priyanka Chopra, Aditi Rao Hydari, who have also shared photographs featuring themselves while saluting the spirit of the soldiers.